Alpha Process Controls has formed a new relationship with Stream Marine Training (SMT) to support the delivery of a new vessel fuel handling training programme. The County Durham-based manufacturer will demonstrate its LNG breakaway coupling technology to delegates as part of a new pilot programme to provide basic training for the use of fuels covered within the IGF Code - the international code of safety for ships using gases and other low-flashpoint fuels. The two-day programme is delivered at SMT’s facility at Glasgow Airport and has been approved by the Maritime Coastguard Agency (MCA). It has been designed to support the drive for safety standards and competency in the offshore LNG industry. Delegates will take part in a series of theory and practical sessions to cover areas such as properties of fuels included in the IGF Code, cryogenic testing, managing hazards, safety equipment and devices and shipboard procedures and measures. In keeping with other LNG-related training programmes offered by SMT, where the training provider has established a network of partners from the LNG industry that can supplement its training with professional, field-based experience, the company has engaged with Alpha Process Controls to assist with the delivery of this programme. 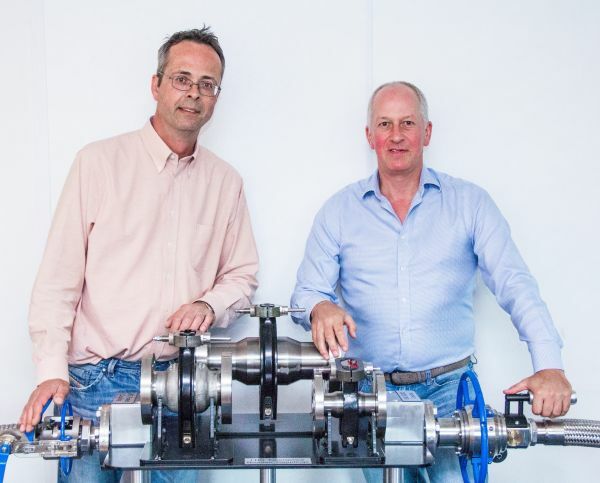 Part of the Knorr-Bremse Group-owned GT Group, Alpha Process Controls is a pioneer of Emergency Release Collar (ERC) technology for couplings and has been at the forefront of the hazardous liquids transfer sector for more than 40 years. The company designs, manufactures and installs the systems, along with loading arms and loading skids, which are supplied to its international client base that includes Shell, BP, Exxon and Saudi Aramco. Offering a complete solution for LNG hose transfer systems, Alpha Process Controls supports ship-to-ship, ship-to-shore, bunkering, FSRU, Bulk Break and Road Tanker operations. Its systems feature innovative mechanical breakaway technology with damped closures for emergency shut downs, which decrease the risk of pressure spikes and damage to pipework, prevents loss of containment and ensures safety even in severe scenarios such as loss of mooring, earthquake and tsunami.